Stainless steel passivation, formation of an antioxidant protective film on the surface of the treated steel. Stainless passivation is a process consisting of the formation of a protective film of chromium oxide on the surface of stainless steel. Stainless steel is one of the very few materials on which this process can also occur naturally. However, a large number of requirements are necessary for this to happen. Firstly, for stainless steel passivation it is important that the material does not come into contact with any type of contaminant before the formation of the passivating layer. Some of these agents are sulphur, chlorides, metal powders and fluorides. If it is perhaps possible that these conditions are met in some environments, this is not the case for the industrial environment. 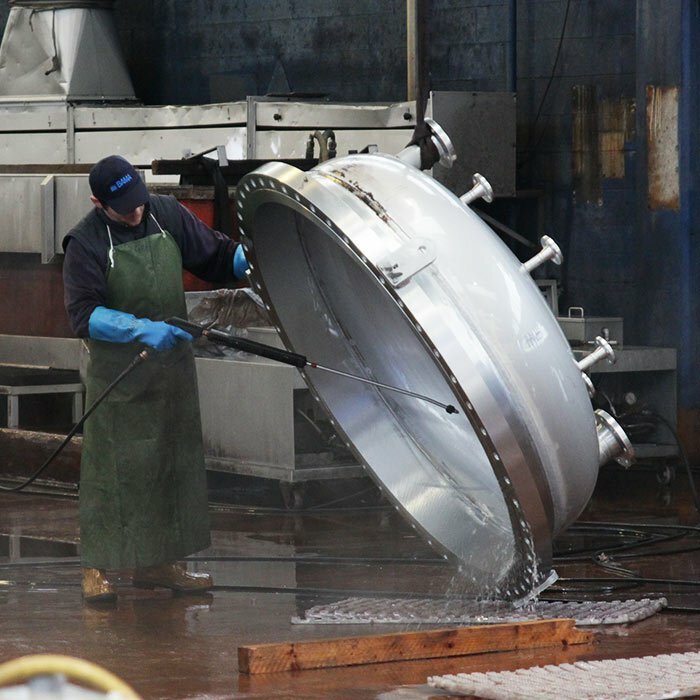 In a factory, workshop or any other location, stainless steel will inevitably come into contact with these elements. The same machining tools that have come into contact with certain substances can contaminate the steel. Even if these tools were used exclusively for stainless steel, the mere presence of a contaminant in the same environment means that the process is not completed as it should, with the risk that the surface will encounter phenomena of pitting or crevice corrosion. It follows that the stainless steel passivation procedure becomes indispensable because it allows to reach an excellent result in a very short time, a result that cannot be obtained satisfactorily leaving "nature to do". 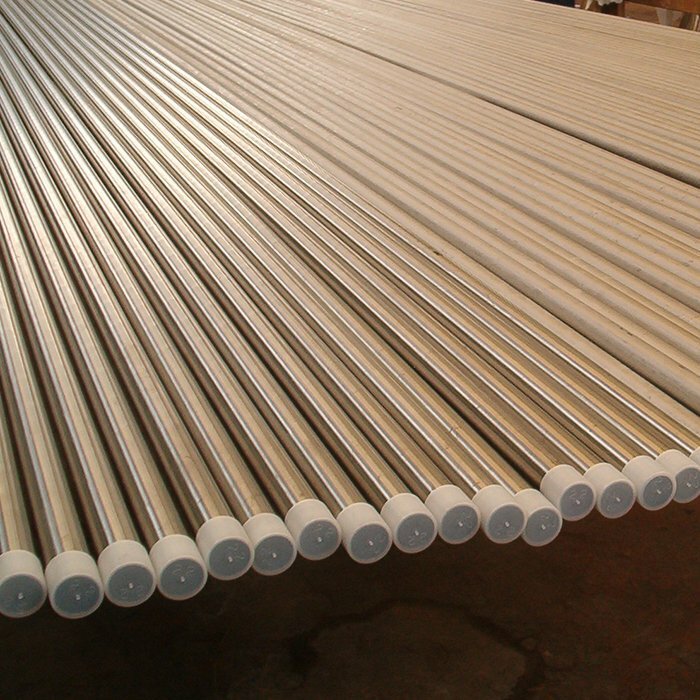 The stainless steel passivation is the same as that of the other metal alloys. 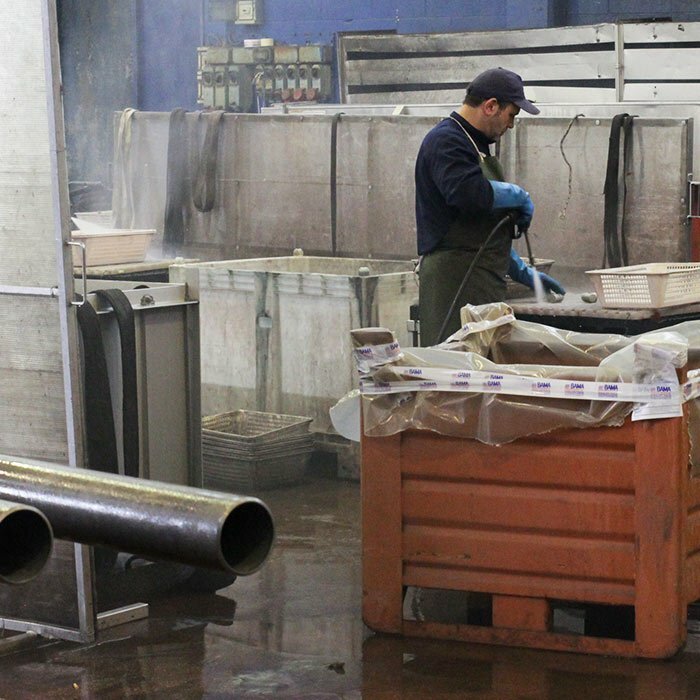 The process can then be completed by immersion in a tank, where special solutions of acids perform their job of creating the passive film, or with the technique of spraying. An example of the products used by Bama for stainless steel passivation is the "Inox-Pass-N" in full compliance with the ASTM A 380 and A 967 specifications. For passivation treatments in stainless steel, aluminium, carbon steel, copper, nickel, zirconium and titanium, Bama uses a substance called passivating, which differs according to the material being treated.